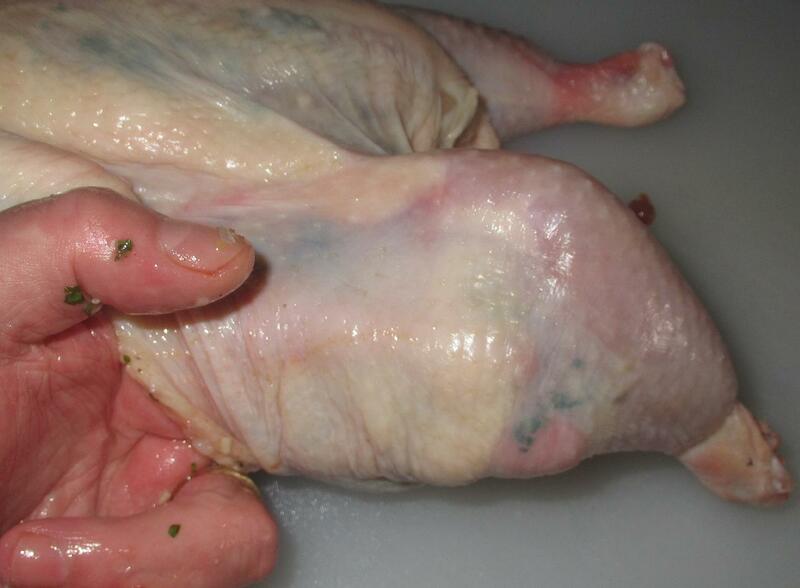 To butterfly, lay the chicken on a flat surface with the breast side down and then cut along one side of the backbone using a sharp knife or (even better) poultry shears. Here you can see that I have started the cut, but you need to go from one end right through to the other. 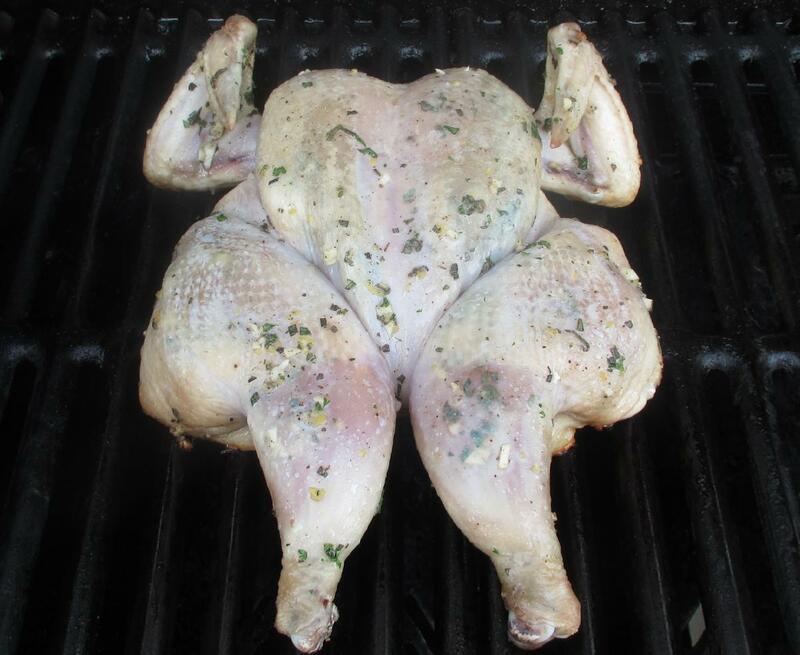 It is possible to butterfly a chicken flat without entirely removing the backbone but there really isn’t enough meat there to make this worthwhile and the chicken will lay flatter on the grill if you take it out entirely. 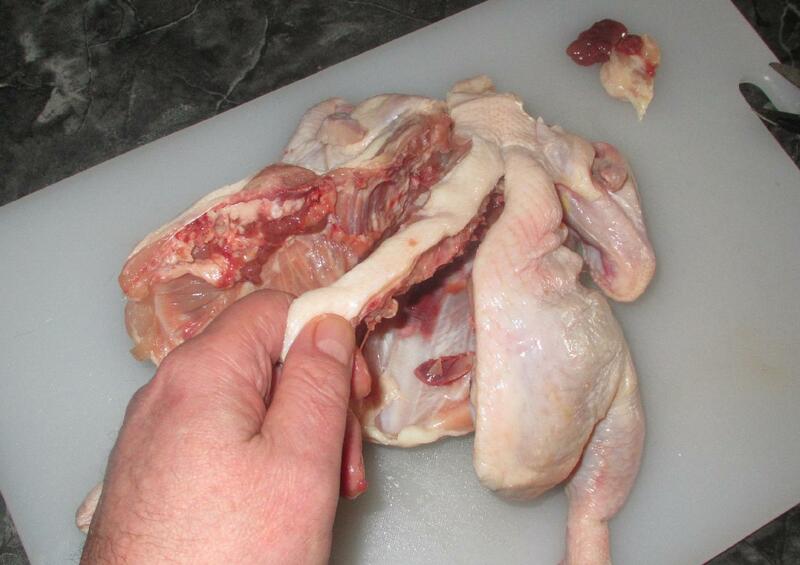 Simply repeat the first cut on the other side of the bone and remove it for later use in your stockpot. 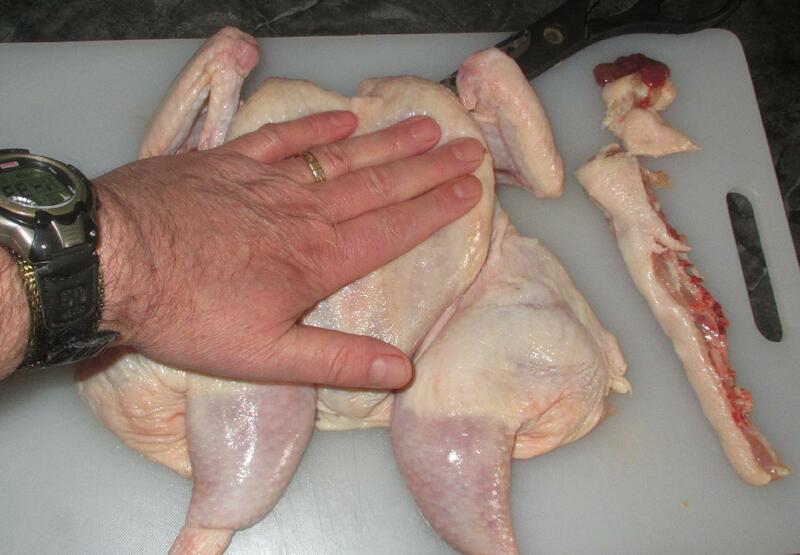 Now place the chicken breast side up and press down hard to flatten. Don’t worry if some of the ribs splinter when you do this. 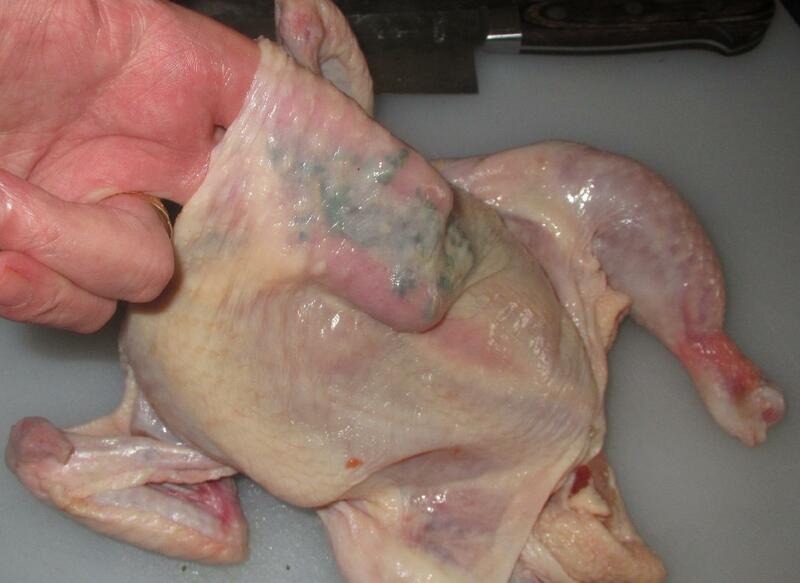 To really flavor the chicken, you need to loosen the skin and get some of the marinade down underneath it. Pry the skin away from the flesh (this will actually help result in a lovely crispness) and get the solids and some oil in as far as possible. You can (and I did) get the mix even further down across the breast than is shown in the above picture. 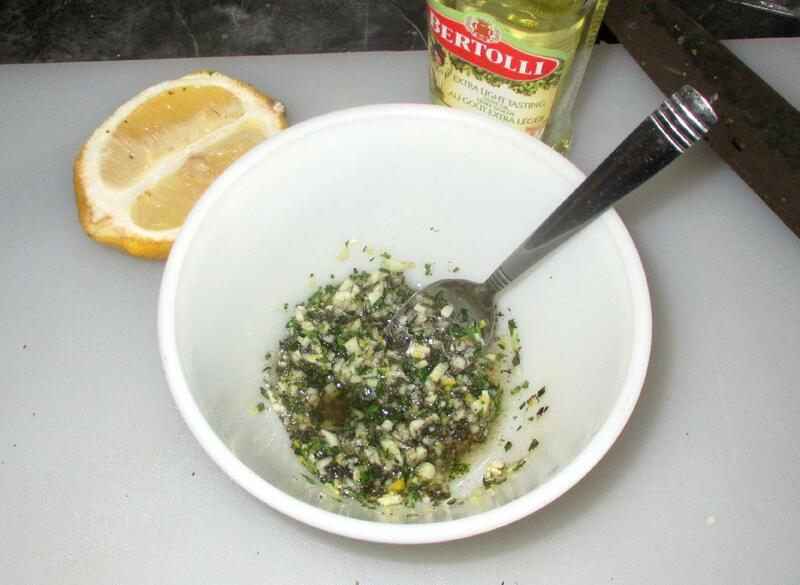 Use the remaining marinade to coat the entire surface of the skin and then place the chicken breast side down in a suitable receptacle and cover the inside as well. 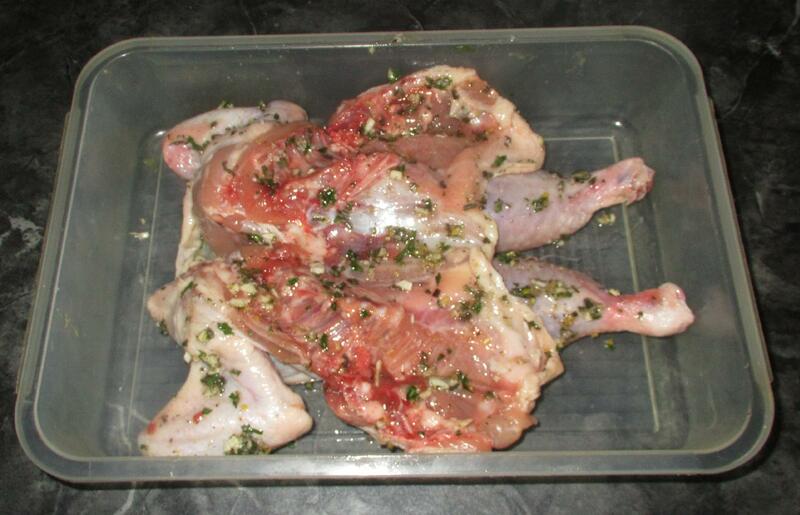 Put the chicken in the refrigerator to marinate for at least 4 hours or (better still) overnight. You will need to baste the chicken towards the end of the grilling time, so mix together a teaspoon of sugar with about a quarter cup of oil. 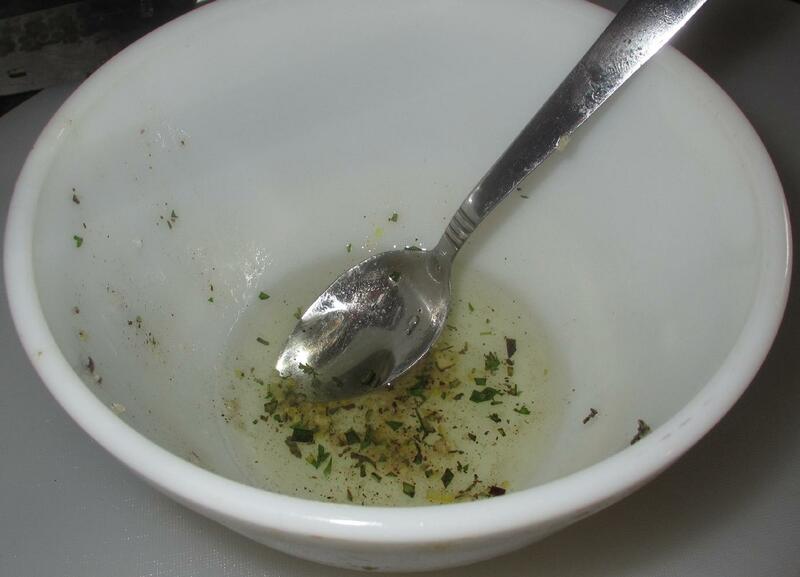 Do this in the bowl you used to make the marinade so that the leftover ‘bits’ flavor the oil. Cooks can argue endlessly about the best method of grilling … Direct vs. indirect heat, or skin-side down first vs. skin-side up, etc. … but really, as long as you are careful and adjust the heat and cooking times to the vagaries of your own grill, there isn’t a particular ‘right’ way to do things. 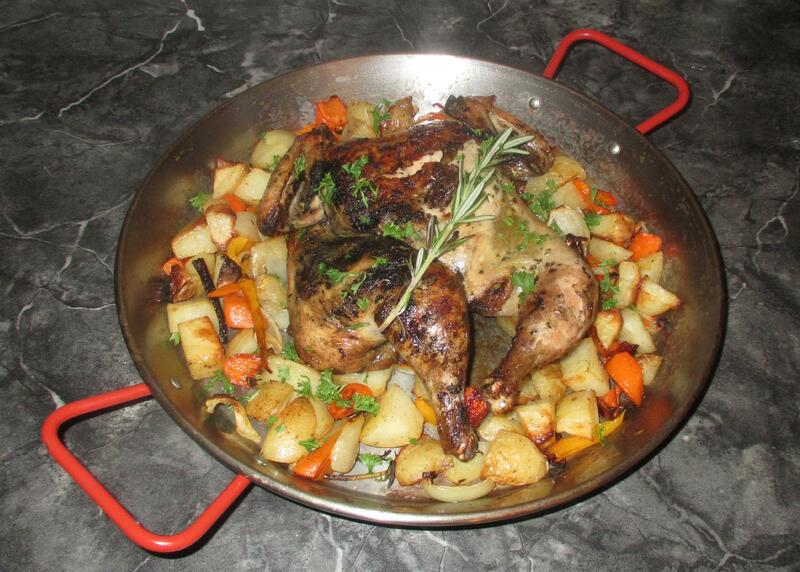 this is a great tutorial on how to butterfly a lovely chicken! You can eliminate that element of luck with a digital thermometer. I use a Maverick with a probe that I simply leave in the breast. I bring it to no higher than 165 and get a most, tender best every time. Nice walkthrough. Though, not for the chicken. They look pretty sad when spatchcocked.